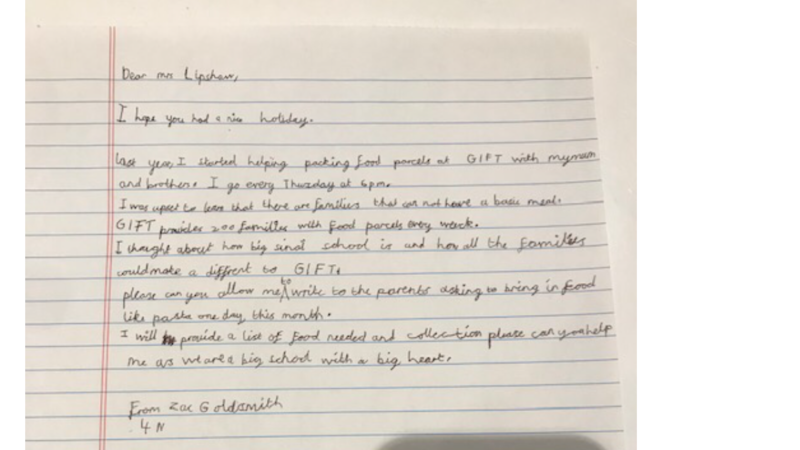 8 year old Zac inspires giving! When 8 year old Zac Goldsmith, a pupil at Sinai Jewish Primary School, attended a GIFT food packing session together with his family, he was extremely moved by the experience. Shocked that there are so many in our community struggling to purchase food to feed their family; he was determined to help! Zac succeeded in arranging a very successful food collection. Since Zac Goldsmith’s food collection, other children have been inspired by his altruistic actions. 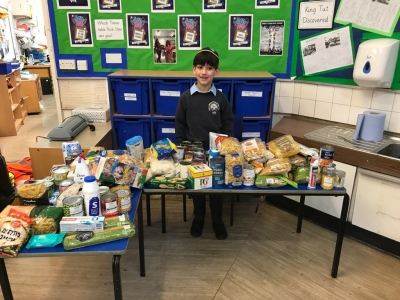 10 year old Zac Stross from Nancy Rubin Primary School, after hearing about his namesake’s inspirational actions, has also written to his school requesting that pupils bring in food items. "You shall open your hand wide to your brother, to your poor and to your needy in your land"